We are starting to resume normal service, but I've only just started giving out scripts again and there's not quite as much of a buffer as we would like. But, yes, Russell T Davies' name should ring a bell with all of our readers as well as with 8. 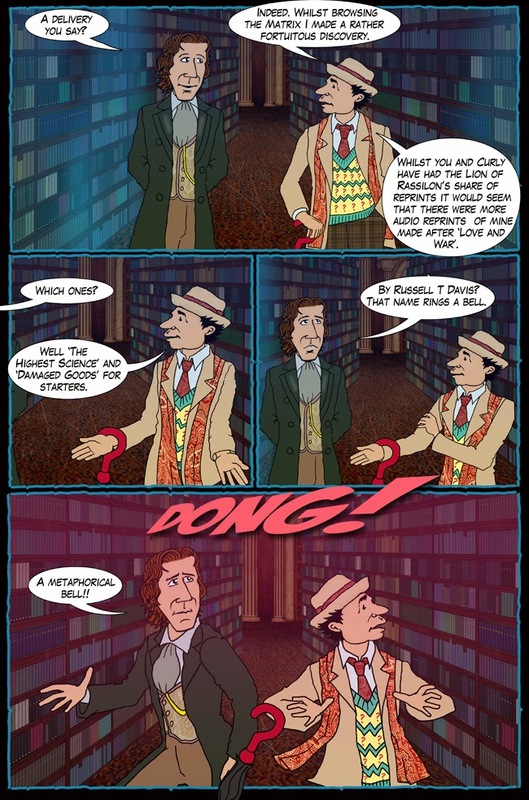 Most of you will know him as the Producer and Writer that brought the Doctor back to television a decade ago, but before he did that he he wrote a New Adventure for the 7th Doctor called 'Damaged Goods'. It's like a dry run, albeit a more adult one that New Who fans might be used to, for the new series. As was meant to be noted in today's strip Big Finish are 'reprinting' this year as an audio drama. I for one can't wait for it.